Have you considered a non-skid decking option for your boat? Marine Customs, LLC is a certified fabricator and installer for non slip decking. Our products are the perfect alternative to traditional surfaces for all types of boats, personal watercrafts, airboats, kayaks, houseboats, stand-up paddleboards, and more. 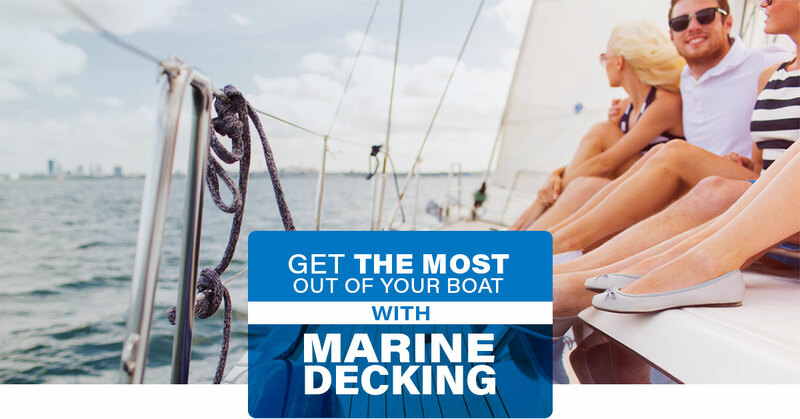 Our marine decking experts in Melbourne have done it all, so you can rest assured that we have the solution for you. 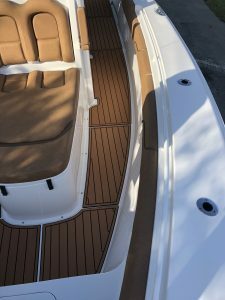 Could the flooring of your boat use a makeover? 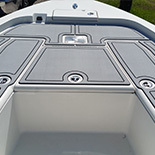 Marine Customs offers comfortable, durable EVA foam to ensure non-skid safety for you and your family. 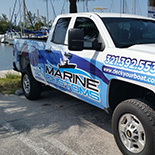 With the variety of weather in Florida, it’s important that your boat has maximum wet/dry traction. That’s just what you get with our anti-slip decking products. Best of all, our design consultant provides complete customization. Take your pick from 16 color choices, from Bahama Blue to Seafoam Green. We believe that every boat is as unique as its owner, so no two projects are approached the same. When you decide that Marine Customs is the right choice for you, the first step is to fill out a form here. Tell us whether you need professional templating at your location, you want to submit physical templates, or you want to submit digital templates. The scope of projects range from cockpits and casting platforms to raised decks and coaming bolsters. Keep in mind that the most popular service we provide is a completely customized installation. The professionals at Marine Customs will create a 2D digital scan of your boat and then import that scan into our CAD software. Prior to final installation, the anti-slip decking material is fabricated on a high precision CNC machine. If you happen to be outside of our Florida service area, you can choose a “semi-custom” option for your project. First, choose one of our Template Kits that you’d like to move forward with and, once we receive it, we will process it exactly as it would be in a “full-custom” installation. We then create dry fit templates and sent you a final fit verification before the project is completed. The last step consists of our marine decking pros shipping them to your location for self-installation of your project. Are You Ready to Get the Most Out of Your Boat? For as much as you invested in your boat, you want it to look in tip-top shape for years. Our marine products serve a number of purposes, such as covering spider cracks and other surfaces. Fishermen will appreciate the superior hydroacoustic noise attenuation that comes with our marine decking solutions. That’s not all, though! Our non-skid boat decking provides the traction you need while also lessening the wear and tear brought on by years of standing. The options at Marine Customs can even protect your deck from scratching, chipping, and denting. Get started today by filling out this custom order form. 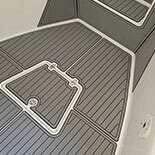 Equip your boat with marine decking and see the Marine Customs difference. Call us today.